They say you can’t teach an old dog new tricks. If you could however, you’d be quids-in in the charity sector: marcomms directors of animal and education charities are the highest paid in the field. That’s just one of the fascinating insights revealed by this year’s Charity marketing and communications salary survey produced jointly by CharityComms and recruitment consultancy TPP Not for Profit. Over six hundred professionals completed the survey and the results show a snapshot of average salaries by seniority, area of expertise, type of contract, size, type and location of organisation and gender of respondent. an increased recognition of the value of communications. charities being under a more hostile media and political spotlight. Disappointingly, given the higher number of women working in comms and marketing within charities, women are being paid 15% less than men. Come on, folks – we might not be able to sort out the economy single-handedly, but we can surely have a go at this old chestnut? 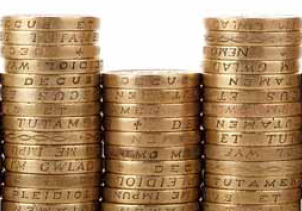 Download our Charity marketing and communications salary survey 2014 free. Vicky became CEO of ACEVO, the charity and social leaders’ network, in January 2017, helping to empower our inspiring sector leaders to make the biggest difference they can to their beneficiaries, their organisation and to society. Vicky was previously CharityComms’ director for nearly seven years.